Happy to say I`m sewing again. I try to do an hour a morning after the treadmill. Beautiful weather, a little crispy in the morning. Perfect Fall desert weather. I started a few scrappy little projects for gifts like these little mug rugs. 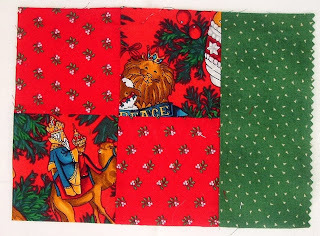 The lion and wiseman prints were won in a Giveaway last year. 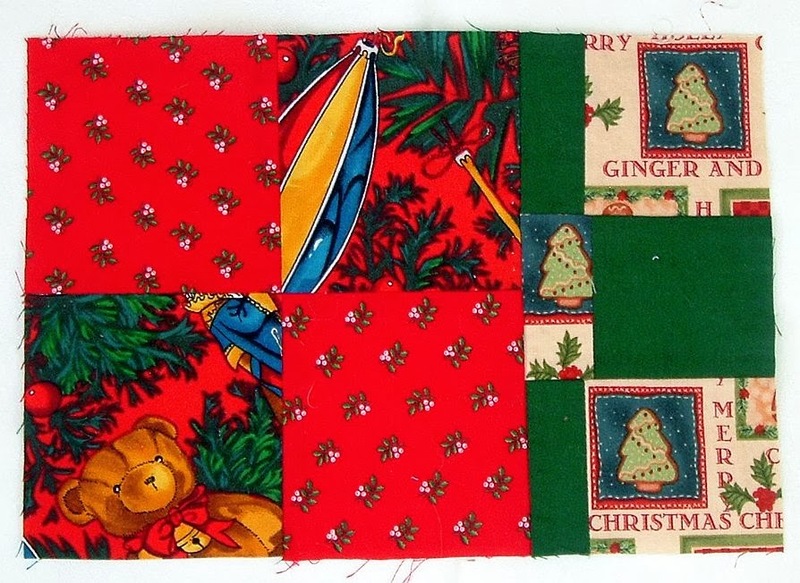 The green fabric to right is Debbie Mumm. 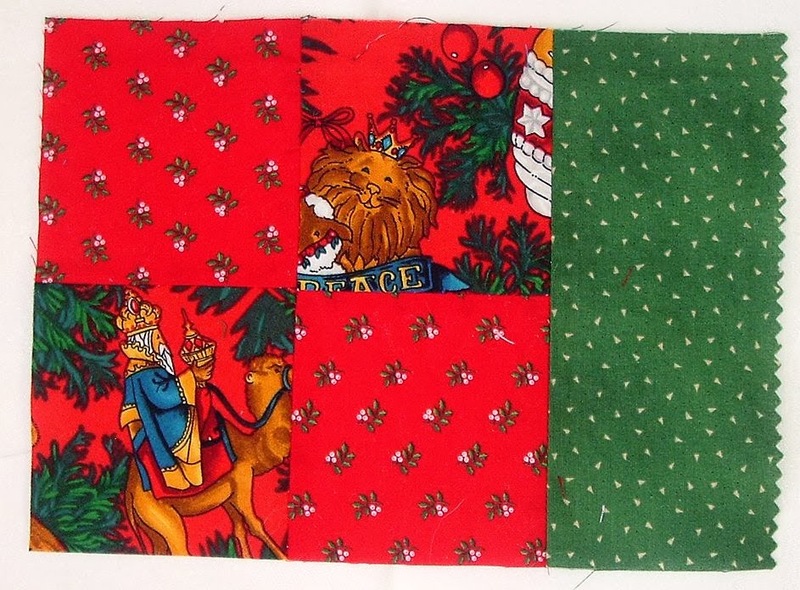 More of the Christmas fabric I won including the gingerbread print. 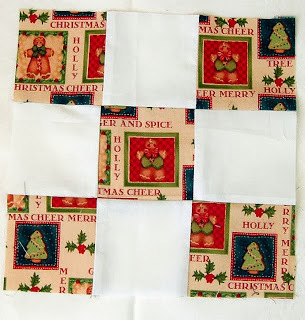 This is a nine patch block for a scrappy table runner. I am busy cleaning up flower beds, grooming dogs and getting ready for Thanksgiving. My son and daughter in law will cook the turkey while his dad I make dressing and pies. It`s going to be a great holiday! I am blessed to have this beautiful family. Friends from Iowa have been visiting . It`s been a great month. Sounds like a wonderful time with family (and turkey)! I need to get sewing again too, just been so busy with life and all but winter is coming and that's a good stay inside and be warm kinda projects! Love the fabrics, still addicted!! 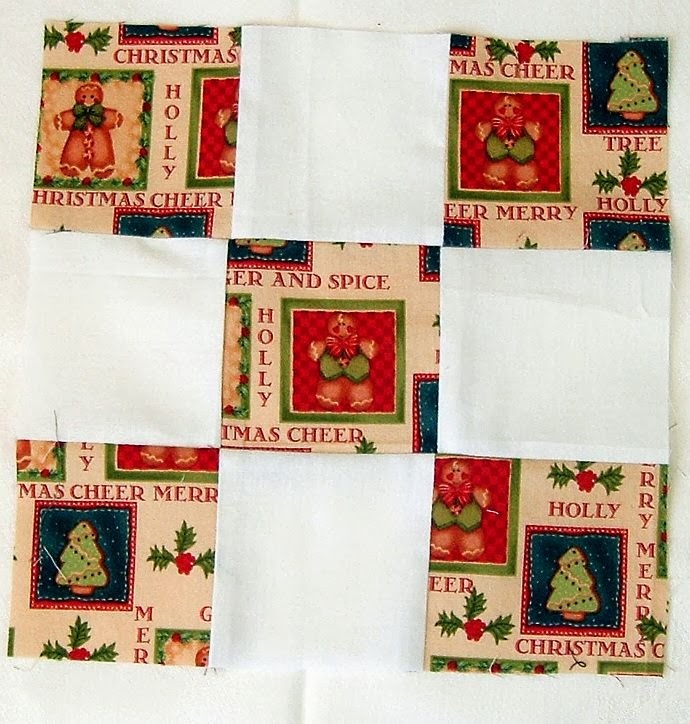 Very cool nine patches...love the fabric! 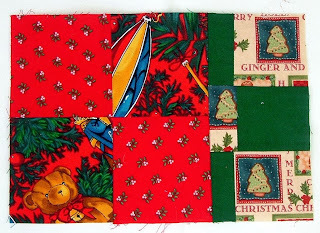 Cathy, I enjoy your photos and wish I'd been there to go Kona shopping with you! My favorite solids goto is Kona. Enjoy your son's family over the holidays. Happy Thanksgiving!